P.O.Box 61052, R/A 12, Street No. 12403, Jebel Ali Free Zone, Dubai, U.A.E. Hitachi takes pride in maintaining exceptionally high standards of design, manufacturing and quality control. Every machine is built to perform at the highest level and cope with the toughest working conditions. Hitachi Support Chain has been developed to ensure your machine continues to meet your expectations and protect your investment. Optimum performance with minimum downtime. Extra protection to minimise repair costs. Lower running and maintenance costs. Increases the resale value of your Hitachi machine. Extensively tested, high quality parts at a reduced cost. Same warranty as for new components. Giving excellent value and peace of mind. 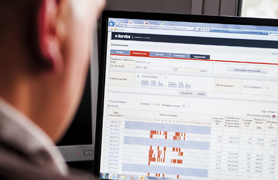 Professional technical support from highly skilled service technicians. The revolutionary new service tool from Hitachi that can save you time and money. Hitachi offers a wide range of parts to suit every machine and budget, whether you have a new machine or are running an older model. 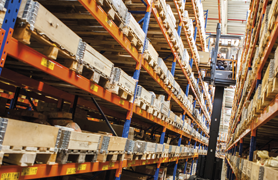 We offer a high level of availability of genuine parts at competitive prices to keep your machinery maintained and operating to the original specifications. We also offer a wide range of genuine quality aftermarket parts to meet your needs for undercarriage, lubrication and filtration. HELP supports Hitachi customers throughout the lifetime of their machine with authorised dealers and genuine parts. 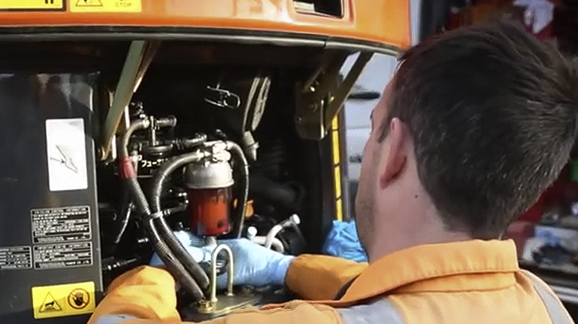 As an additional benefit, each HELP contract includes oil analysis performed by an authorised Hitachi dealer, at the same time as the periodical maintenance. This will allow you to carefully monitor the condition of your machine during your HELP contract.This will allow you to carefully monitor the condition of your machine during your HELP contract. 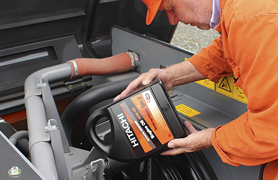 Hitachi genuine oils are specially designed for use in your Hitachi machine. They can maximise the performance of your equipment, and protect the engine and other components. Furthermore, they can reduce your running costs, because they last longer than other oils. Only the Hitachi R&D team can develop the best oils for your machine. Most Hitachi equipment comes with genuine oils when shipped from the factory. The professional and highly trained Hitachi service team combines the global expertise and knowledge of Hitachi construction machinery with the local language and culture of each customer. The manufacturer takes a proactive approach towards customer service – and with technical training in particular – so that the available global knowledge is passed on to each individual technician in the dealer network.achine during your HELP contract.